Would you like to preview the results of your cosmetic dentistry procedure(s) before committing to the final outcome? Trial smile at our practice allows you to try out the look of your new smile prior to the fabrication of your finished restorations. With the help of our master ceramist, Wayne Payne, CDT, we are able to create a skillfully designed prosthetic device that replicates the aesthetic results of porcelain veneers, crowns, and/or dental implants when placed over your natural teeth. The trial smile is temporarily bonded to your teeth, allowing you to thoroughly evaluate the design and shade of your proposed enhancements. If you are interested in learning more about trial smile, we invite you to read through the informative content we have provided below or contact our practice to connect with a knowledgeable member of our team. What are the benefits of a trial smile? Because our trial smiles are designed and crafted by a master ceramist using high-quality resin composite material, the smile you preview closely matches the results you can expect to achieve with your finished veneers or crowns. What can I expect during the trial smile process? Your trial smile begins with a consultation with our cosmetic dentist, Ann Haggard, DDS. During your appointment, Dr. Haggard will first examine your teeth and gums and then discuss which aspects of your smile you would like to change. She will then explain which cosmetic options could help you to achieve your goals. 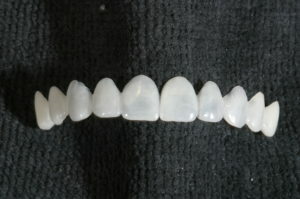 The next step is to take an impression of your teeth that will be sent to our master ceramist, Wayne Payne, CDT. 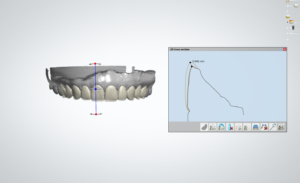 Using the impressions, a picture of your smile, and instructions detailing the changes you desire, our experienced ceramist will mock up a custom prosthetic trial smile. Once we have received your trial smile from the lab, you will come in to have it fitted and temporarily bonded to your teeth. If necessary, Dr. Haggard can make minor adjustments to the trial smile to better suit your preferences. As soon as you have made a decision about the details of your new smile and choose to proceed with your treatment plan, Dr. Haggard can order the final restorations to be created at the dental lab. If you desire the fabrication of another trial smile instead, that request can be accommodated as well. What will my trial smile look like? If you are curious about trial smile, we encourage you to view photos of our patients who have gone through the process. 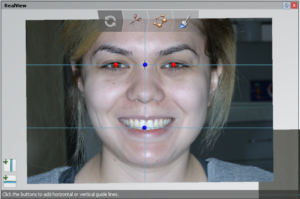 The images show patients’ natural teeth, their custom trial smile device, and the results with their trial smile bonded in place. Your personal trial smile will be tailored to your unique specifications so that you can try on the smile of your dreams. You can learn more about trial smile and the many cosmetic and restorative treatments we offer at Designer Smiles if you contact our office to schedule a consultation.